Oscar Wilde’s novella The Picture of Dorian Gray published in the summer of 1890 marked the age of aestheticism in the declining years of Victorian England. 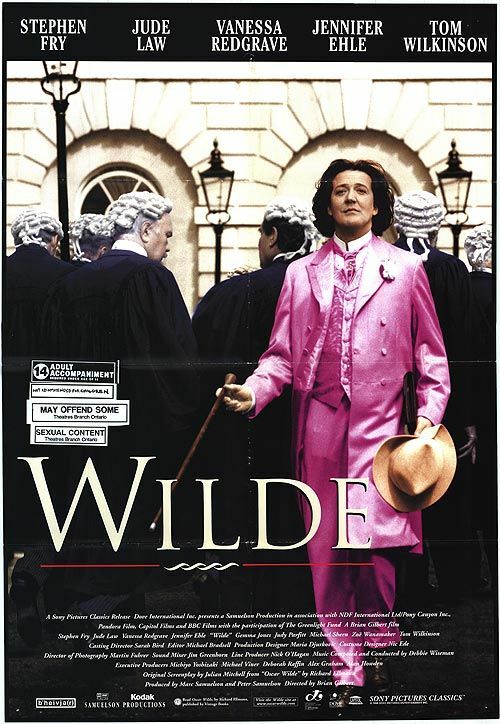 Wilde at the time of publication wrote `To become a work of art is the object of living’. In Dorian Gray, the 2009 film version, Gray a wealthy aristocrat sells his soul to the Devil in exchange for eternal youth. As the young Dorian drifts languidly into a world of debauchery, opium dens, orgies and uncompromising excess, the portrait first painted of him as a beautiful young lord soon reflects the ugliness of Dorian’s actions whilst the character retains his flawless beauty. There is an almost vampire quality to Dorian’s sordid adventures as he slowly but surely delves deeper into the darker spheres of human action from seduction, temptation and ultimately to murder, manipulating all those around him with the exception of his primary influencer Lord Henry Wotton, a brilliant performance by Colin Firth who shines in this part. Ben Barnes who shot to fame in Prince Caspian and the 2009 film adaptation of Noel Cowards play Easy Virtue, struggles with a character as complex and compelling as Dorian Gray. Barnes portrayal whilst beautiful is bordering on flaccid and his inability to capture the fall from innocence of Dorian Gray is only illuminated by the razor sharp supporting performances of Firth and the remarkably brilliant Rebecca Hall of Vicky Christina Barcelona fame, illustrating that as an actor, Barnes is beautiful to look at but does not have the requisite skill and theatrical maturity to master a complex character like Dorian Gray. 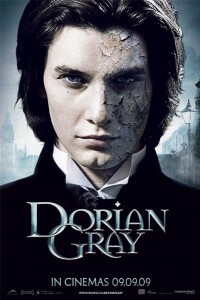 Whilst Oliver Parker’s Victorian Gothic version of Dorian Gray is fascinating and at times horrific to watch, it falls short as a brilliant work of cinema simply because there has never been a successful screen adaptation of Oscar Wilde’s The Picture of Dorian Gray as the novella is as much about literary symbolism, an ironic portrayal of aestheticism as a means in itself, as it is about decrepitude and vicious narcissistic menace, even resulting in seducing the artist Basil Hallward who paints Dorian’s portrait, a wonderfully brief but vivid performance by Ben Chaplin. Jude Law who starred as the vain and spoilt Lord Alfred Douglas in the film version of Oscar Wilde’s later life, Wilde opposite a fantastic Stephen Fry in the title role, would have been a more suitable Dorian Gray as his skill as an actor would have captured the weaknesses of a character entirely devoted to his own vanity and basking in the fascination that youth, wealth and beauty can cast on an infinitely corruptible society. Oscar Wilde – either the wallpaper or myself have to go! Think of Jude Law’s Oscar nominated performance in Anthony Minghella’s The Talented Mr Ripley. Law would have been perfect in Dorian Gray. For literary enthusiasts Dorian Gray is a film worth watching as a point of discussion on how life imitates art and eventually as with all lovers of aestheticism, art survives above life for art’s sake, far out living those corpses decaying in a murky grave. Images outlive the subject and the portrait however beautiful will remain eternal. For vanity and debauchery, as the Duke of Rochester so magnificently portrayed by Johnny Depp in The Libertine shows, those that yield to an abundance of temptation ultimately perish by the pursuit of their own desires. As for what Oscar Wilde would comment on a 21st century Dorian Gray, words far exceed those merits of a celluloid image.